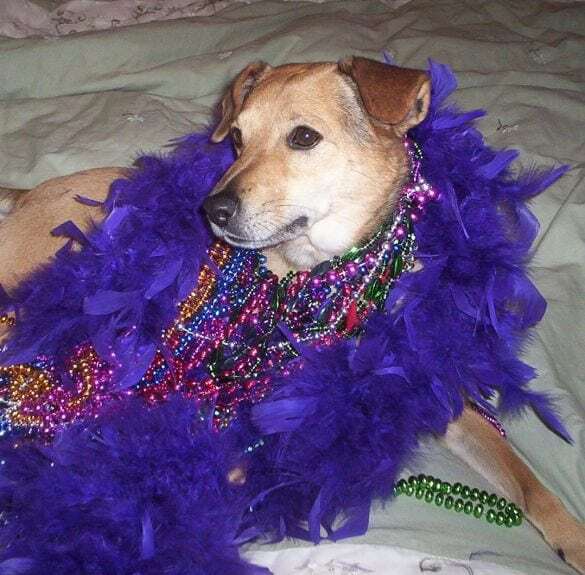 Komfy K9 Helps More Tripawds! The fine folks at Komfy K9 are once again helping the Tripawds Foundation reach more concerned pet parents with helpful information about amputation recovery and care. By sponsoring another print run of free pet amputation brochures, Komfy K9 is helping us put valuable information and resources in the hands of more people facing a cancer diagnosis or amputation for their cats and dogs – right where they need it most: in veterinary offices, cancer clinics and rehab centers around the world. You can help spread the word too. Request free brochures for your vet now! 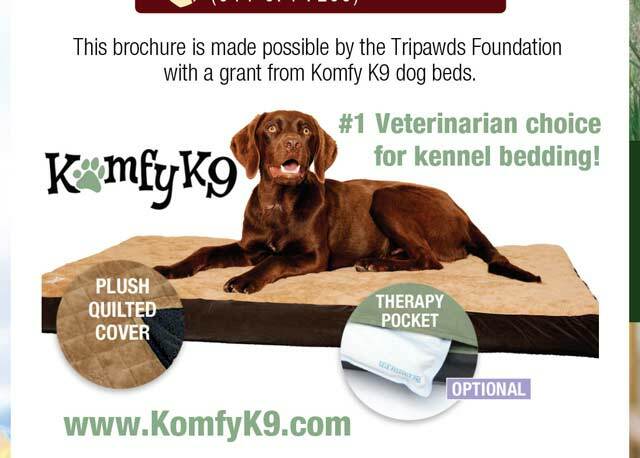 Veterinarians and vet techs prefer Komfy K9 dog beds for their therapeutic comfort and ease of cleaning. Read Tripwds spokesdawg Wyatt Ray’s Komfy K9 dog bed review for details about its unique adjustable firmness, plush quilted cover and optional therapy pocket. 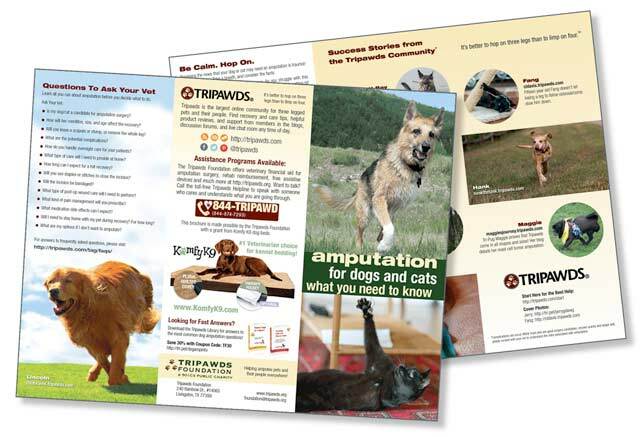 Donate postage to help mail these new brochures, or see all available Tripawds sponsorship programs. THANK YOU KOMFY K9!!! The Outreach program is such an important vehicle to get the word out that dogs can flourish on three legs! It gives hope where there was no hope! With these Outreach Brochures lives truly are saved and, equally as important, their “owners” have a support system and invaluable information.